Part retreat, part competition, the Jones Weekender was: #FunOnTap. The Weekender was a two-man event comprised of 30 teams playing three rounds of golf, two of which were tournament play. 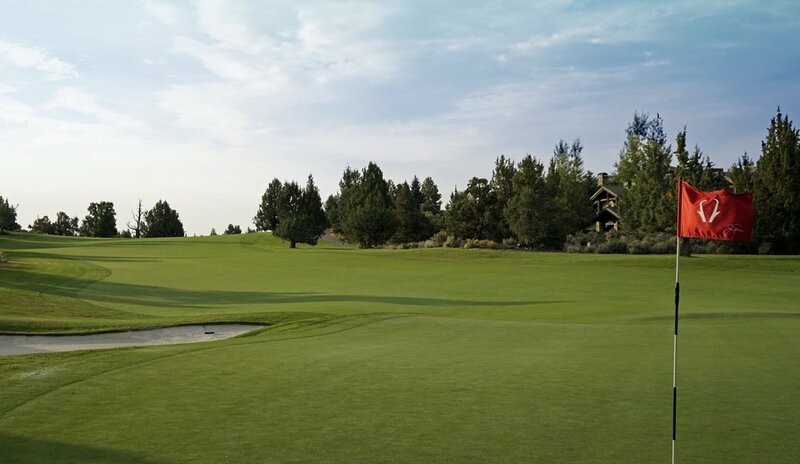 The location: Pronghorn, an enclave of golf manicured perfection nestled between Redmond and Bend, Oregon. My teammate for the event was Justin aka @DeezPutts, my golf brother previously mentioned in my Dallas post. The good people at Jones managed to pull together an eclectic group of like-minded golfers for a truly remarkable weekend. Going into it I only knew about 15 of the invitees, others were people I had been following on Instagram for quite a while so it was an opportunity for me to put some faces with some InstaGolf handles like @MalbonGolf @BrodyVan23 and @Smooderoo. 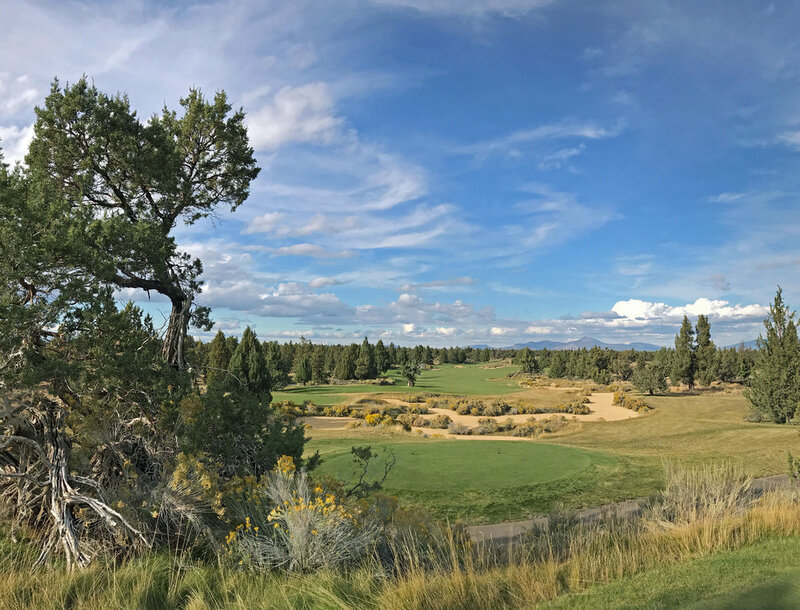 Perhaps because golf is such a humbling sport, it came as no surprise that each person I met was unpretentious and equally in awe of the golfer’s playground we were inhabiting for the festivities. I arrived in Bend, via a stress inducing layover in Seattle, at midnight on Thursday. Thank you Alaska Airlines, I still don't know how my bags made the flight! My first impression of Bend was the darkness. 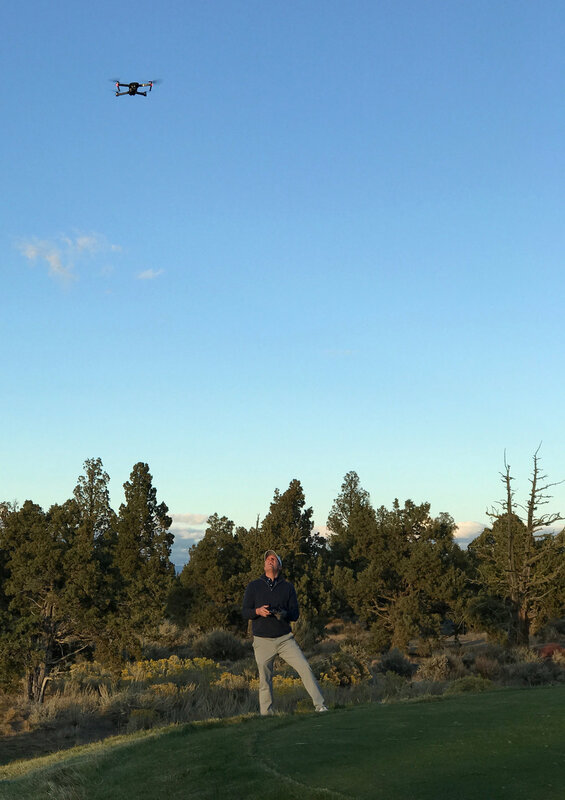 With little to no light pollution, Bend, specifically Pronghorn, felt wonderfully remote and if the reception on my phone was any indicator it was borderline O.T.G. Upon arriving I was greeted by very deluxe accommodations complete with a full kitchen, living room, and outdoor fire pit. The sun hadn’t even come up on day one and I was already impressed. When morning came we were greeted by the crisp, cool, clean air of the high desert. We drank coffee while we got Justin’s drone in the air. We were both giddy with excited anticipation based at the footage it was getting. After a breakfast at the Trailhead ( I recommend the egg sandwich and fresh OJ) we got our golf costumes on. Justin and I use the term “costume” in a self-deprecating way to poke fun at our interest in golf clothing and penchant for over packing. With temperatures hovering around the the mid 50s to low 60s my Holderness & Bourne ¼ zip was a good play. The course for day one was the Fazio, a ghost tree ladened, immaculately manicured course. This was just a friendly practice round and we went out as a 5-some. The group consisted of: Jordan, Max, Tye, Justin, and myself. 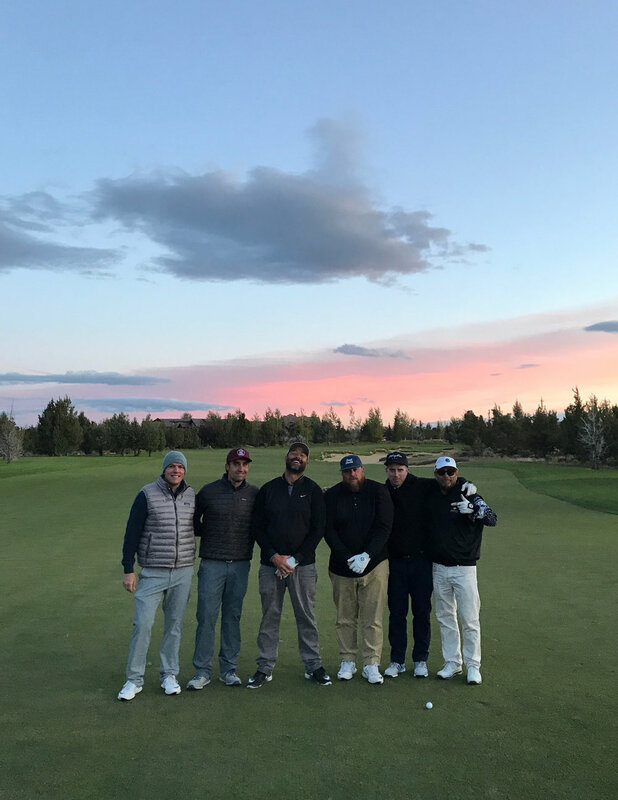 Justin and I have handicaps that hover around the high single digits but the rest of our group was comprised of former college players and one that played professionally. Jordan’s game is built of two pillars: big drives and soft hands. He is often in Full Send mode and has lag to spare. I assume his home resembles a hunting lodge but instead of fresh kill adorning the walls he displays his mammoth divot pelts. Max is easily the biggest hitter pound-for-pound I have ever seen. With a steely gaze and a clenched jaw he puts a hurt on the ball that is both punishing and majestic. Tye has an Adam Scott quality to his swing, never off balance, never out of rhythm. Justin and I couldn’t keep up but it was fun to be in the same fairway as those guys. The course itself lived up to the Fazio name. Beautiful, opulent, and enjoyable. 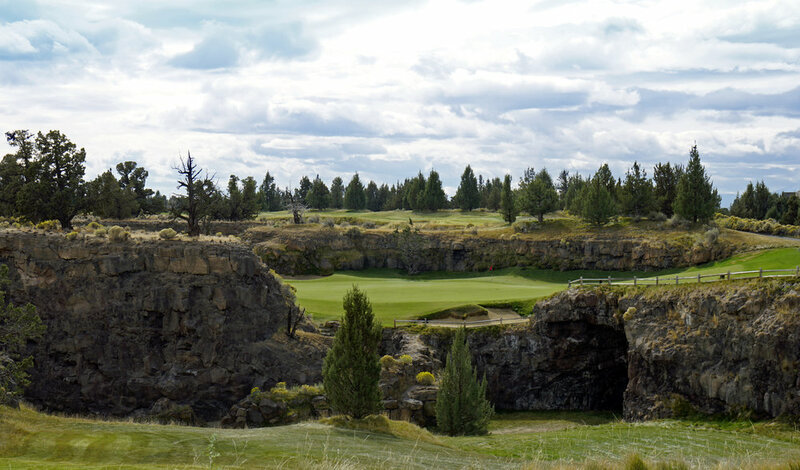 The signature hole is number 8, a par 3 that carries over two lava tubes. Needless to say multiple pictures were taken. My favorite hole might be the par 4 5th. 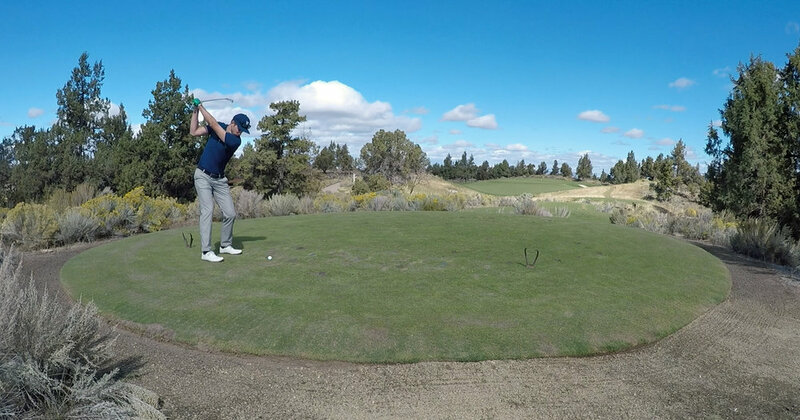 Bunkers come in play off the tee the more club you’re willing to hit. The green is a well protected short left begging you to bail out right. It took me multiple strokes tee to green but I enjoyed them all. The views looking back toward the tee box are also quite spectacular. It was a real good time. That night all 30 teams gathered for dinner and the Calcutta live auction. I will admit that I am not familiar with the world of Country Club golf, therefore this was my first Calcutta and I was a deer in headlights watching guys buy up teams with a quickness. For those also unfamiliar, Calcutta is a cash auction. Players bid on the team they think will win. Once bid upon, each team has the option to buy back ½ of their auctioned price tag. All the money goes into the pot and at the end of the tournament the owners of the top three teams win $$$. Some poor guy bought our team for a significant amount. I felt guilty and bought back half our team but could have just as easily set fire to the cash. Once the auction was over the smack talking reached unprecedented levels. Much fun was had by all. Day two was the official start of the tournament. Tee times were at 10:00 on the Nicklaus course. Justin and I were paired with Matt and Randy. 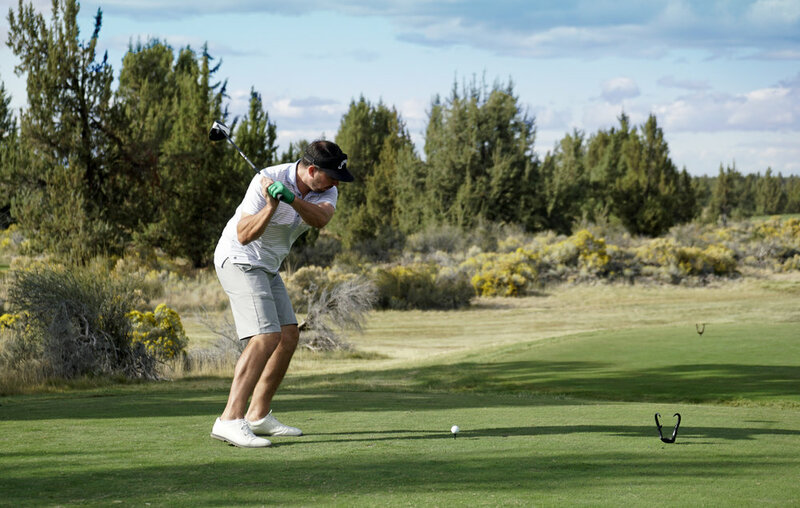 Matt is a sweet swinging former college player that has a passion for the game that is expressed rather emphatically, especially after an errant shot or missed putt (that club toss on the second hole of the day needed protracer.) Randy is a well-traveled golfer who plays fast and free. When asked how he got his pre-shot routine under 3 seconds Randy simply said, “If I start thinking, bad things happen.” Such a true statement. In fact, Randy played so fast I never got a picture of him. The format was Net best ball and Justin and I got off to a hot start with birdie-birdie. Unfortunately the heater didn’t last long and we finished the day toward the back of the pack. The Nicklaus course was a tough test and at times felt a little tricked out. Miss the fairway and beware. It felt pinched in at the most inopportune times. I felt Nicklaus was trying to compete against me, not present me with a challenge. No better example of that than the back to back par 5 15th and 16th holes. Landing areas were disguised and the proper strategy was hit and hope. My favorite hole was the short par 4 12th. 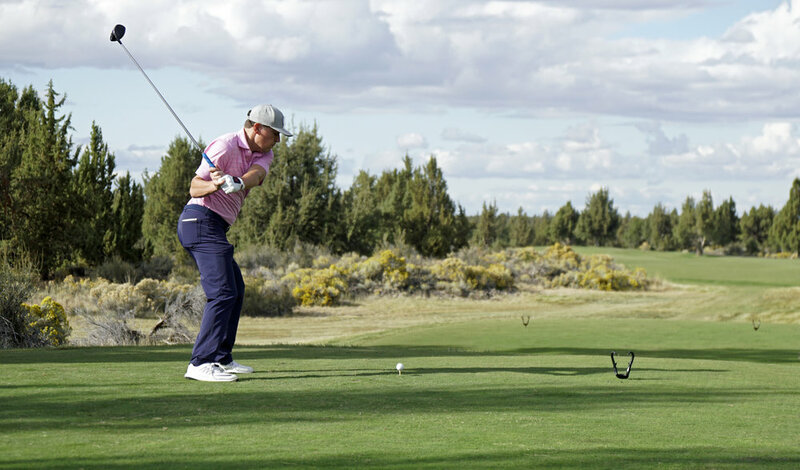 You could take anything from 8 iron to driver off the tee and end up with anything from eagle to double bogey or worse. 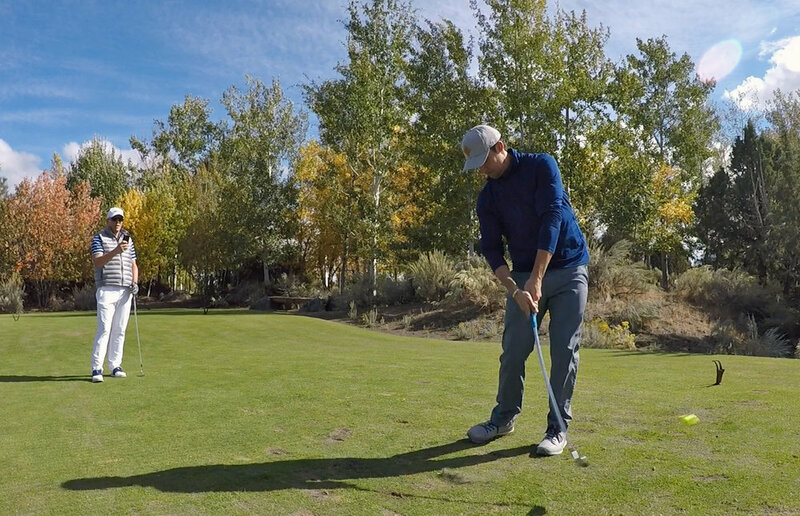 I appreciate the opportunity to execute a strategy even when I immediately regret it once my tee shot is in the air. Of the two courses, the Fazio was my favorite but my camera appreciated both courses equally. With the early tee time, Justin and I were able to get out for an emergency 9 that evening. We chose the front 9 on the Fazio. 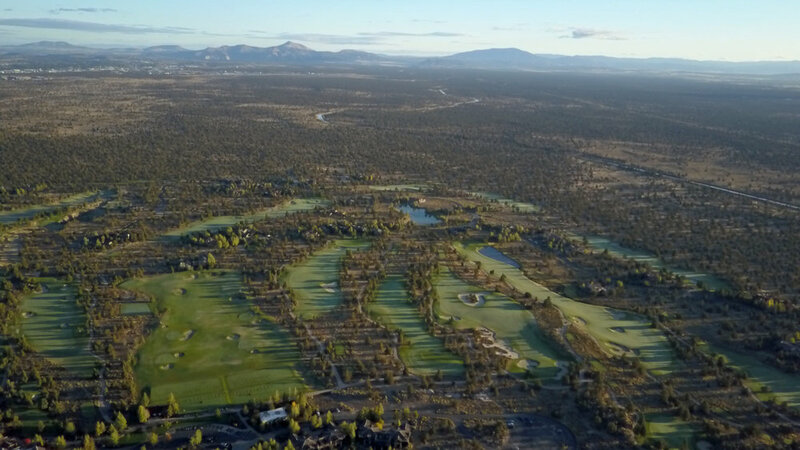 We played 6 holes, took a few pictures and then on the long par 4 7th Justin unleashed the drone for some golden light footage. 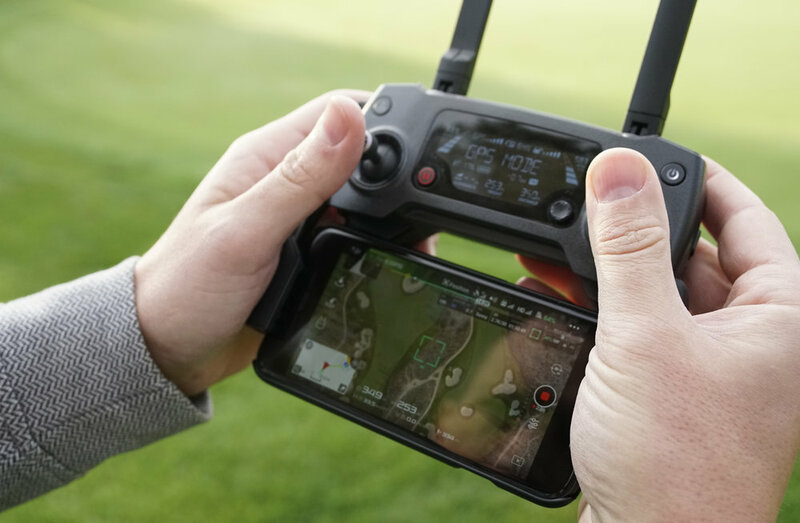 I tried to put a good swing on the ball and not hit the drone, accomplishing only one of those goals. On the 8th hole I took the path less traveled and drove the cart into the lava tube. It was cold and dark and full of terrors. While we were tubing and taking pictures, another group of Weekenders took the tee on 8. 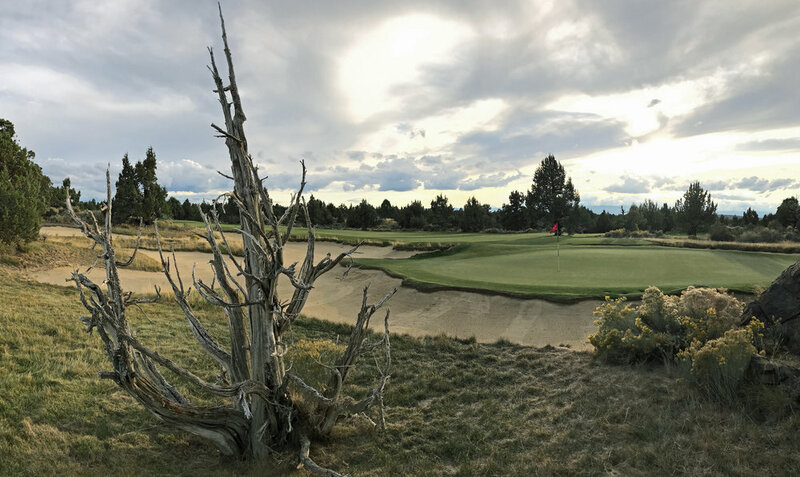 We joined up with Stephen, Jon, Jeff, Tim, and their caddie to play 9 in near darkness. It was a memorable finish to a spectacular day. Day three put us back on the Fazio for a 10:00 start. The format was a Net shamble with a double bogey max score. Justin and I employed the “fairways are for fools” strategy and as a result we were in our pocket on a few occasions. The greens were rolling at a 13 on the Stimp meaning 3-putts would be in abundance for this guy. We were paired with Charles and Joe, two great guys looking to enjoy the day. Charles has a spitfire swing of a baseball player and gets hyped for a good shot no matter who hits it. Joe could punish the ball off the tee and also had the swing of someone who enjoyed success on the baseball diamond. They were the dream team. The shot of the day went to Joe, banking one off the rocks behind the green on 17. However, he should have received a one stroke penalty for not calling bank. After the round everyone gathered together to crown the victors and celebrate a weekend well spent. Speaking of victors, it is normally frowned upon for the host to claim victory but I’ll let it slide this once. Congratulations Chris and Gregg! 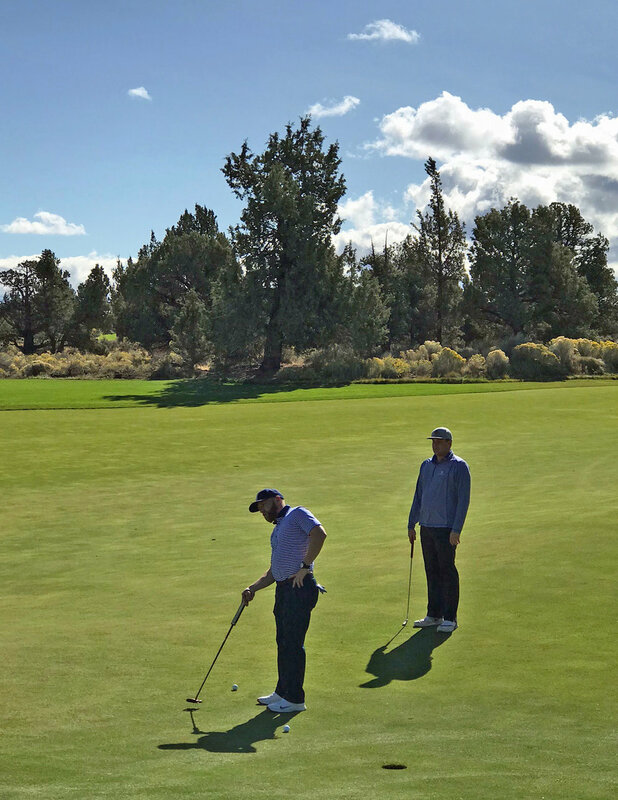 Looking back at the Weekender I am grateful for the opportunity to connect with golfers I had only conversed with via social media. People often accuse social media of painting a distorted image of everyday life. I can’t disagree with that. 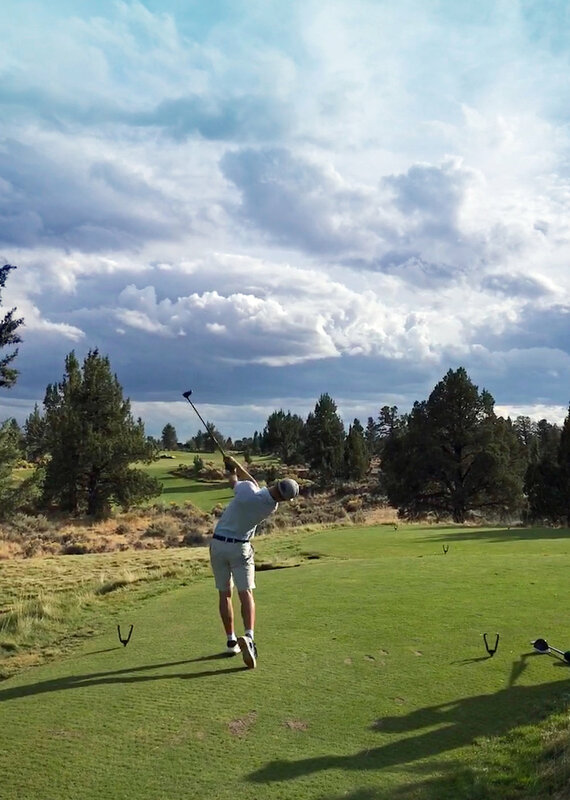 I rarely post lackluster golf swings or mediocre vistas despite their existence. We all present a version of ourselves. I was so appreciative of how genuine each and every person I met that weekend was. When the Weekender was officially over we all went our separate ways. 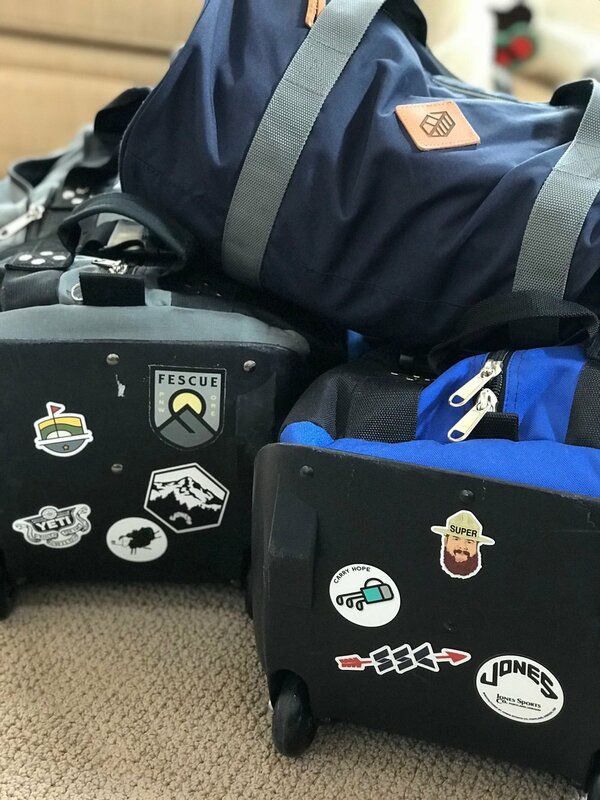 We took home more than just the tremendous swag bag, we have the memories and photographic evidence of a Weekend well spent. Until next year...Enjoy Golf!